This weeks menu is ready! We follow the guidelines of Trim Healthy Mama developed by Pearl Barrett and Serene Allison and we encourage you to check out their website, books and various social media platforms. This week is Thanksgiving and with family coming into town, we have some creative meals for our guests. Tuesday: One Pot Bean Mung Dal (E) My husband and I enjoy the flavor and high protein found Mung Dal. This week we searched for a kid approved recpie. Hopefully the kids like this hearty dish. Thursday: Thanksgiving!! (S) Insta-pot turkey with our recipe of Acorn Squash Pecan Bake (See below) and a side of veggies is our simple but healthy plan! Friday: Low Carb Pizza, crust made with cheese flower Biscuit on page 248 of the book Trim Healthy Table. Sunday: Southwestern Meatloaf Simple yet delicious, this meal will be happy ending to the busy week. Mocha Roll (S)-Take a look at the picture of this decadent treat and you will want to try this recipe, too! Lemon Bars (S)-With Lemon flavor a favorite with my kids, Buttery Lemon Bars are sure to be a hit. Cook acorn squash in the instapot for 12 mins on manual, cool, peal, cut and scoop out the seeds. Mash squash and ad ¼ cup of xylitol, 1/4 cup butter, 1/2 teaspoon allspice, 1/4 teaspoon nutmeg. Mix well. Beat in cream and egg. Whip well with mixer. Pour into greased baking pan. Combine special ingredients and mix until crumbly. Mix in pecans and 1/2 teaspoon cinnamon. Sprinkle over the top of the squash mixture. Dot with butter. Bake at 400 degrees for 35-40 minutes. 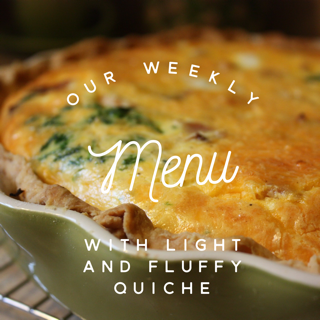 This weeks menu is ready! We follow the guidelines of Trim Healthy Mama developed by Pearl Barrett and Serene Allison and we encourage you to check out their website, books and various social media platforms. We just arrived back from our weekend getaway to Washington DC and what a fantastic weekend we had with good friends. Monday: Addictive Greek Chicken (S) (page 224) with Cucumber Salad (S) page 224 in the Trim Healthy Table Book. Thursday: Chicken Bake (E) Page 123 of The Trim Healthy Table Cookbook. Sunday: Breakfast for Dinner with Chocolate Chip Pancakes (S) page 341 of the Trim Healthy Table Cookbook. Just today we tried our order of Trim Healthy Mama Chocolate Chips arrived in the post. We sampled a few today and boy are they delicious. Sunday night we will try them in some yummy pancakes! November is here and with it Fall themed activities for Preschool. Our first full week in fall is all about leaves. With 16 pages of activities and other creative learning projects, your preschool child will enjoy learning all about leaves! This set includes a letter L word hunt, a color by numbers, a pattern and simple counting page and a pumpkin song. Leaf Stained Glass Art, (Press leaves, crayons to melt between wax paper and heat on low with an iron. Silly Leaf art- using googley eyes and pipe cleaners make “pet” leaves. Pictures from our leaf activities this week!